Continuing our run of interviews from the Vancouver studio of Once Upon A Time (premiering Sunday 10/23 on ABC! ), today we post parts of our group chat with Josh Dallas, who plays the, well, charming “Prince Charming” in the new series. The actor – who played Fandral in Thor and even has an episode of Doctor Who among his credits – will also be playing “John Doe” in Storybrooke – a man who has been comatose for years. When he wakes up, will he remember? And more importantly, what will he remember? You can read more about Once Upon A Time here. And of course, several more Once interviews will be posted here on KSiteTV as we head toward Sunday’s series premiere! You can find links to previous interviews at the bottom of this page. Please do not reproduce this interview onto other websites. Instead, just place a link to KSiteTV! Questions to Mr. Dallas are posted in bold; his answers are not. What is going on for “John Doe” in Storybrooke? In Storybrooke, he’s in some peril, and in a coma. I will say that he’s not in it for long, so we’re going to learn a lot more about him. His story is yet to be discovered in Storybrooke. We’re going all the way back to the origins of Snow White and Prince Charming. We’re going to find out how they met, where they met, what his real name is, how he got the name “Charming”… all of those things. So we’re going to find out a lot of information and back story of when that epic true love first was kindled. Alan Dale will be playing your dad on the show. 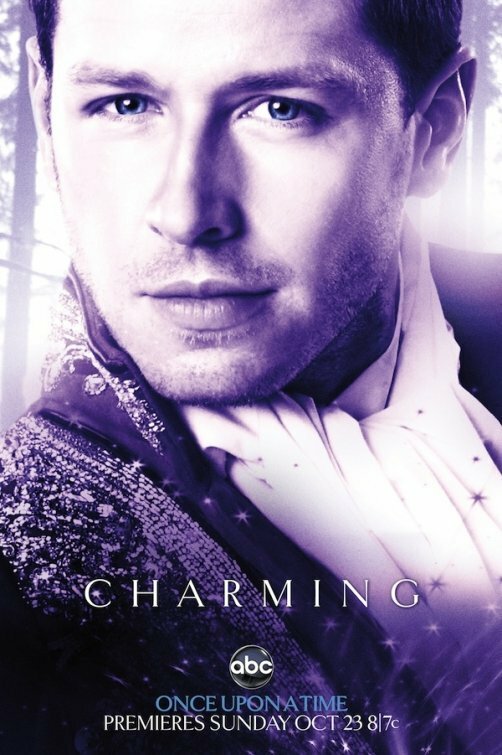 What is his relationship like with Prince Charming, and what can you tell us about his character? I don’t know how much I’m allowed to say about King George, but I will say he is obviously King of the kingdom, and the kingdom is ailing. He needs some help. He goes to King Midas, and they make a deal, and King Midas says “well, if your son slays this dragon, I will take care of your kingdom. I will give you gold. I will give you riches. You will be taken care of.” So he makes a deal with Midas for me to slay this dragon. Growing up, did you ever think you’d end up playing a fairy tale character? I guess not really a fairy tale character, but I always wanted to slay dragons, and I always wanted to use swords. It’s a boy’s dream, being able to play this kind of stuff. That’s what’s so great. As an actor, you get to do all this great, fantastical stuff in Fairy Tale land, and then you can go back to Storybrooke. Even though they’re both based in a reality of their own kind, with Storybrooke you can go back and become more real, and more like what we’re used to seeing and doing as actors. And then you can go to Fairy Tale land and just do these amazing things in the woods, with swords, and horses, and dragons, and ogres, and all kinds of stuff. What kind of interaction will your character have with Mary-Margaret (Snow White) in Storybrooke? There is this extraordinary kind of weird draw to Mary-Margaret that he doesn’t quite understand, in Storybrooke. There’s definitely a connection there with her, so he’s trying to negotiate that and figure out what that is and where that’s going to take him. 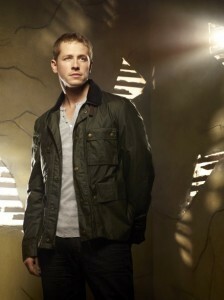 There’s a lot to discover about him in Storybrooke. Can you talk about how different Storybrooke is from Fairy Tale land? That’s what’s so great about this show, the two worlds – you have Fairy Tale land, which a place which is very different from Storybrooke in so many ways. It’s different emotionally. Visually it’s different. It’s brighter. It’s fantastical. It’s a place where happy endings can come true, and Storybrooke is a place that’s very dark. It’s very gray. It’s colder. It’s a place where time is stopped, and we’re all trapped there, and no one has any memories, and no one can get out. They’re very different places. So for an actor to go back and forth between the two, is great fun. Does Emma’s arrival bring a physical change to the people of Storybrooke? I think [Emma’s arrival] is when things start to begin. I think there’s a shift in terms of the energy within the world. There’s something happening now. I don’t think there’s anything physically that happens to people, but probably just in terms of energy-wise or spiritually, there’s something in the air. Something is happening.